Demonstrations by Yellow Vest protesters clashed with the riot police that fired tear gas on the crowd in Paris today as protests against the French government's tax policy resumed. Demonstrators of the grassroots movement got up this weekend to assert themselves again with the authorities. But the turnout for the seventh protest of the population that shook France seemed to be small. 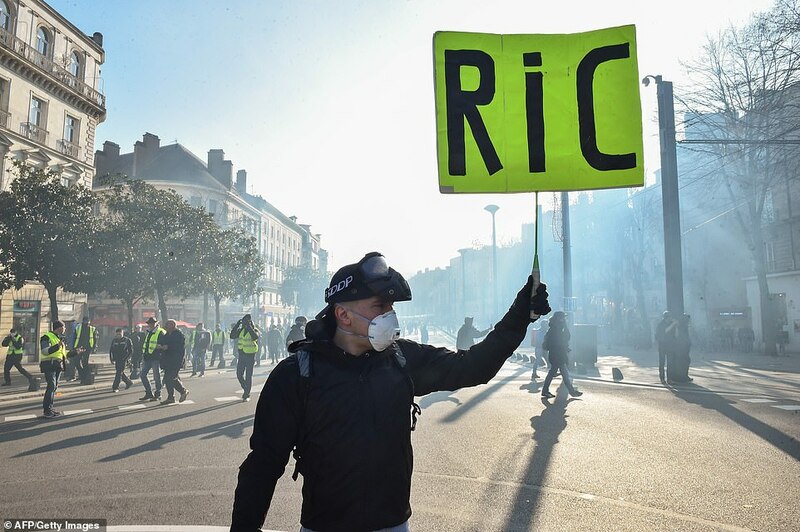 Although it is the seventh weekend of the protests, the momentum for the movement seems to be waning as only small groups in Paris and elsewhere in France took to the streets. Several hundred people had worn the symbolic safety vests near the offices of France Televisions and the BFM television station in the center of the capital, calling for "fake news", calling for the resignation of President Emmanuel Macron. Protesters splashed on tram lines and hurled the police, who responded with tears gas grenades and several people detained. 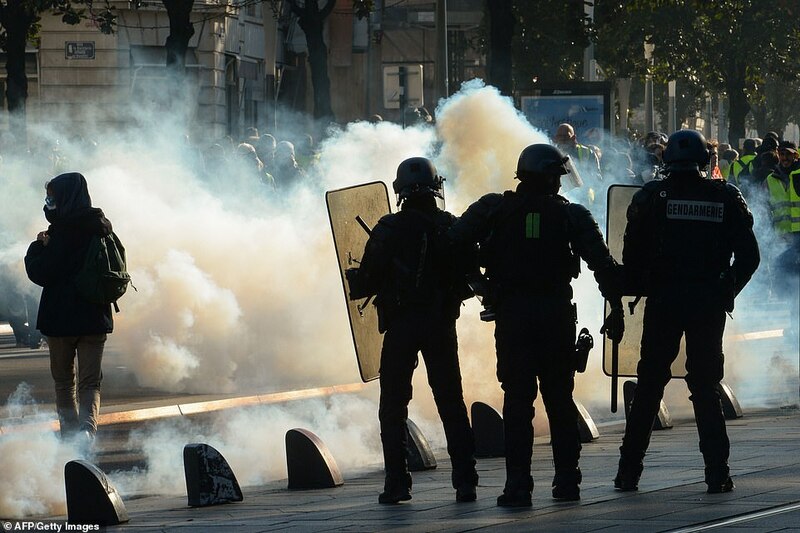 Tear gas was also fired in Nantes (western France), and protests were expected in Lyon, Bordeaux and Toulouse.
. 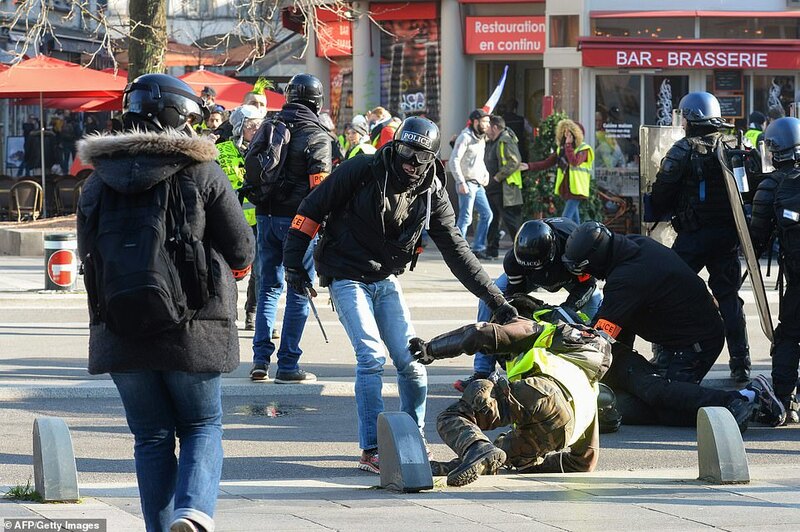 Protesters clash with police officers while the demonstration was called by the yellow vests in downtown Nantes today. In the southern city of Marseille, police said 900 protesters turned out to be screaming out of "Macron out". Official turnout numbers have fallen over the weeks. The government recorded 38,600 demonstrators on December 22, compared with 282,000 for the first major demonstrations on November 17. Leaders within the movement, which flourished outside trade unions and political factions, say the low numbers are due to the holiday season, and January will see a resurgence of street protests. 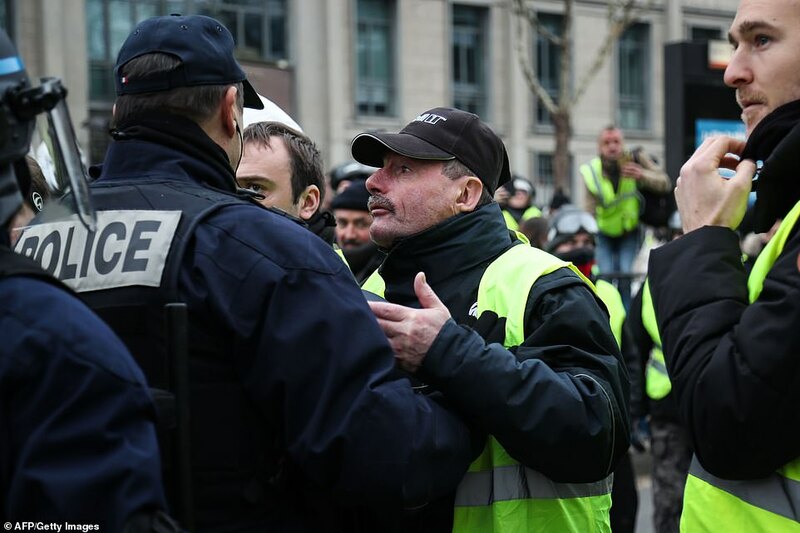 The focus of the protests has turned from anger over the fuel tax to a broad censure of Macron, which is accused by critics of neglecting the rising cost of living for many farmers and small business owners. City of France. Priscillia Ludosky, who launched the yellow vest petition against fuel price hikes, said, "We want to regain our purchasing power and have a say in decisions." 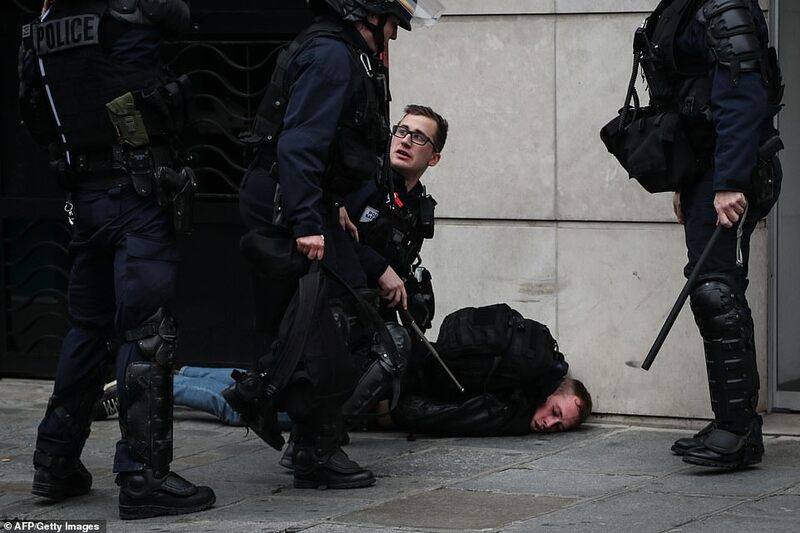 French riot police arrest demonstrators and raid them on the ground in downtown Nantes, western France.
. Government tax breaks to increase disposable income among low-wage earners "are not enough," said Ludosky in Marseille. 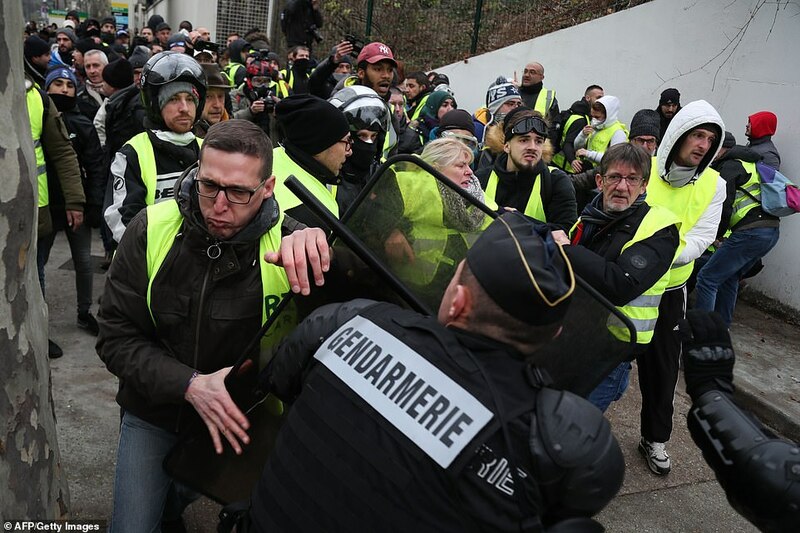 The movement increasingly aimed at Macron and 40 "yellow vests" to storm the medieval fortress Bregancon on Thursday, which serves as the official summer holiday on the Mediterranean before being rejected by the police. Hard-Yellow Vest supporters believe the 2019 movement will live on and run plans for New Year's Eve protests. On Facebook, nearly 8,000 people are expected to attend. They claim it will be "festive and non-violent." A few dozen gathered today in the fashionable Champs-Elysees, the scene of riots and violence between protesters and riot police earlier this month. Tear gas, a water cannon, and baton strikes were used by the riot police around the capital on earlier marching fights. At its peak at the beginning of December, 89,000 policemen and 750 arrests were arrested on a weekend in the capital alone. 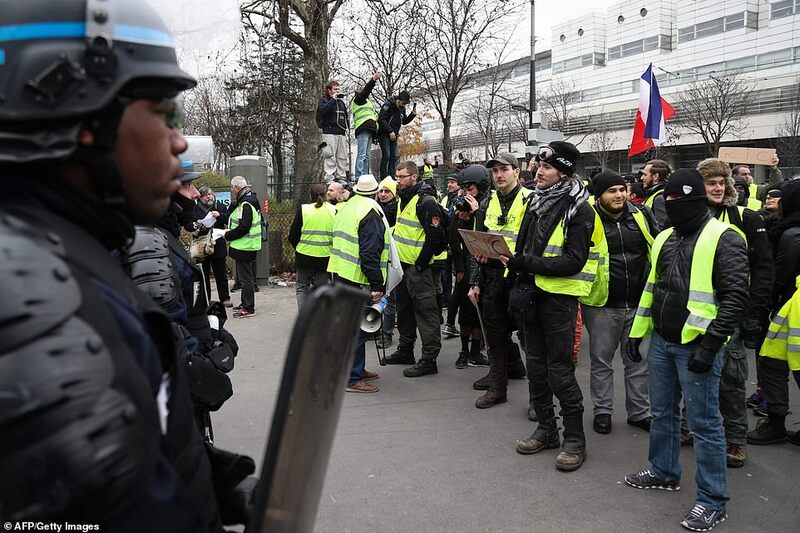 Demonstrators wearing yellow vests protest at a demonstration high taxes in Paris French anti-riot police. 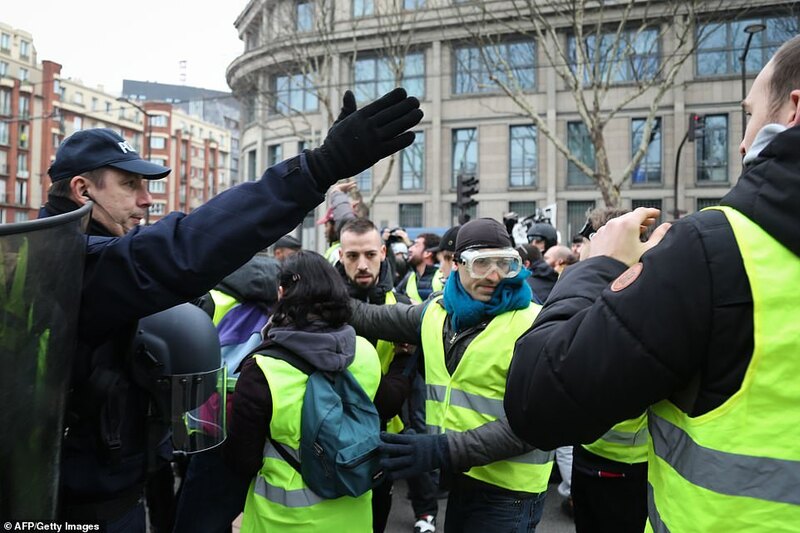 Some 126,000 "yellow vests" – named after the fluorescent jackets they wear – were counted by the Home Office during the largest demonstrations. Police were paying close attention this weekend, but both police and protesters appeared to be traveling in much smaller numbers than previous weekends. 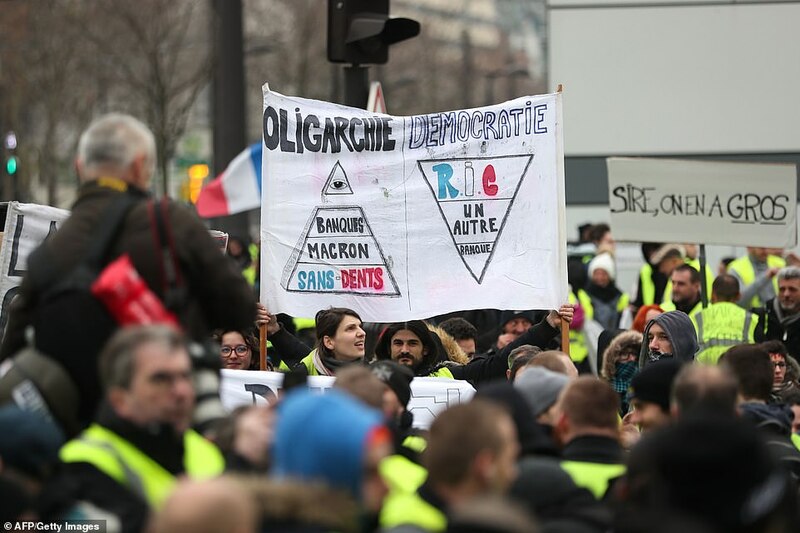 The demonstrations were directed against French President Emmanuel Macron, who made some of his demands for tax relief and other economic aid. However, many people continue to be frustrated with their pro-business leadership and continue to stage roadblocks at roundabouts across the country. The movement began on 17 November as a protest against fuel taxes and is after the fluorescent protective equipment French motorists have to keep in their cars. P Aris officials said preparations for a fireworks display and a sound and light show on the Champs-Elysée, the epicenter of repeated violent acts against the government, would continue. The Arc de Triomphe was looted on 1 December. Tens of thousands of tourists and tourists In the New Year, locals traditionally ring the bell on the wide shopping boulevard, which rises to the Arc monument. 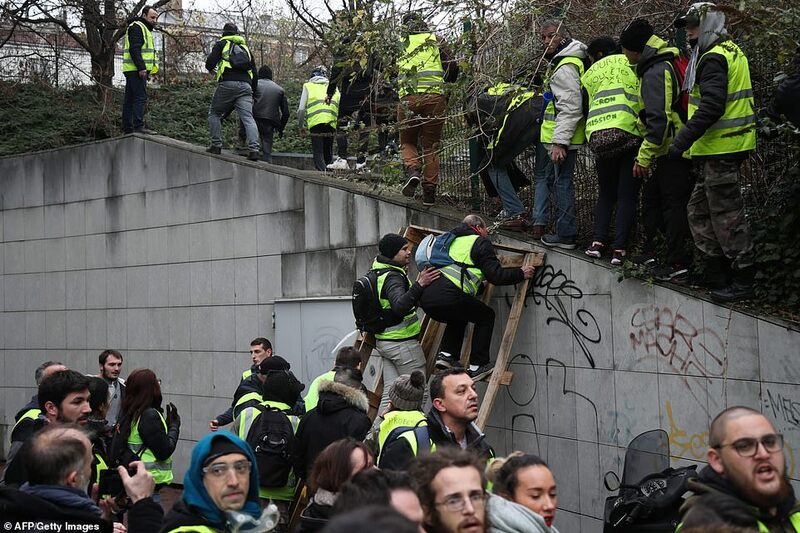 Yesterday, a lot of yellow vest protesters tried to storm President Emmanuel Macron's holiday home. Around 50 members of the anti-aging party The government arrived Thursday in the medieval fortress of Bregancon on the Riviera near Toulon and stayed close on Friday.